In keeping with tradition of the 2014 released 10.0 Earthquake ‘C’ grade film, scientists have warned that the San Andreas Fault is “locked, loaded and ready to roll.” Ironically, as in the film, the fault line is located in part, next to a fracking area – the fields of Monterey Shale, which in the film, threatened the entire LA basin to sink. The last major earthquake to occur at the San Andreas was in 1857 at a 7.9. “The springs on the San Andreas system have been wound very, very tight. And the southern San Andreas fault, in particular, looks like it’s locked, loaded and ready to go,” Jordan said. Based on observations, according to scientists in the field, the “Pacific plate moving northwest of the American plate should be relieving about 16 feet of accumulated plate movement every 100 years. 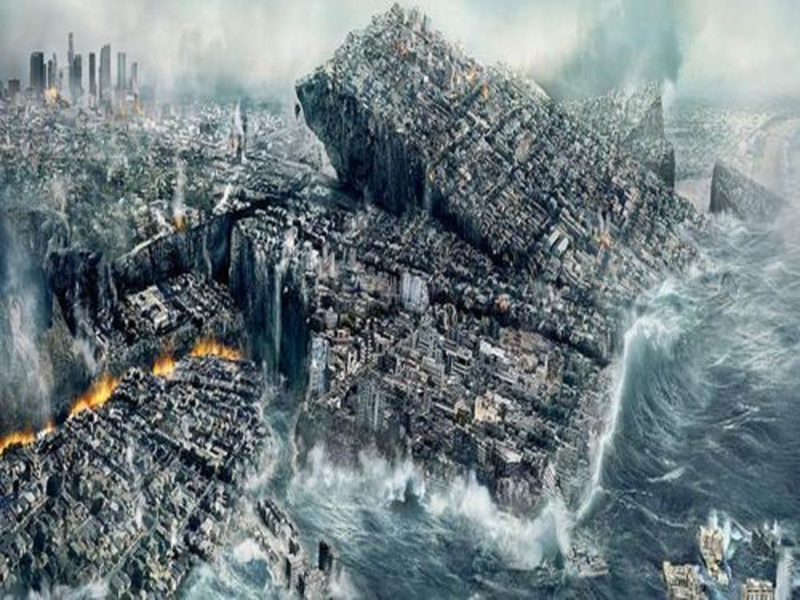 Yet the San Andreas has not relieved stress that has been building up for more than a century,” reports The LA Times. Los Angeles and California in general, are overdue for a catastrophic earthquake. Although the San Andreas doesn’t directly run into Los Angeles, the city will still suffer ongoing seismic activity. Jordan demonstrated a magnitude 8 on the San Andreas and its implications. In 2008, it was also reported in a U.S. Geological Survey that the San Andreas Fault could cause billions of dollars in damage, injure and kill thousands, and create ongoing problems. A 7.8 earthquake, irrespective of the new improvements to building and telecommunications structures – which Jordan says are commendable – could still throw the area into chaos for several months. This article (“10.0 Earthquake” Might be a ‘C’ Grade Movie but Holds a Dire Warning for Californian Residents) is a free and open source. You have permission to republish this article under a Creative Commons license with attribution to Aral Bereux and DNewsHQ.